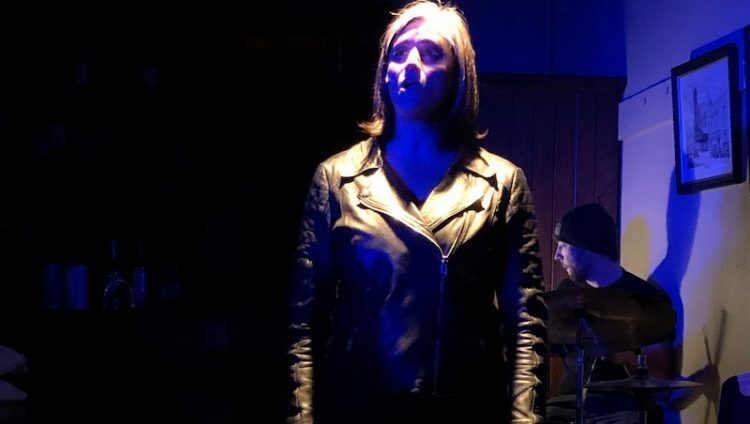 ANN ARBOR—The Penny Seats’ ninth season opens with Murder Ballad, performed from April 5 though 21 at Hathaway’s Hideaway, 310 South Ashley Street in Ann Arbor. Tickets are available online at www.pennyseats.org. Murder Ballad is a steamy rock opera by Julia Jordan and Juliana Nash, directed for Penny Seats by Matthew Pecek with music direction by Brian Buckner. This suspenseful show tells the story of a murder among friends and lovers, and will keep you guessing until the final scene. Starring regional favorites Maya Gangadharan, David Moan, Mike Sandusky, and Monica Spencer, the show features a rock score performed by a live band. Due to adult themes, this show is not appropriate for children.